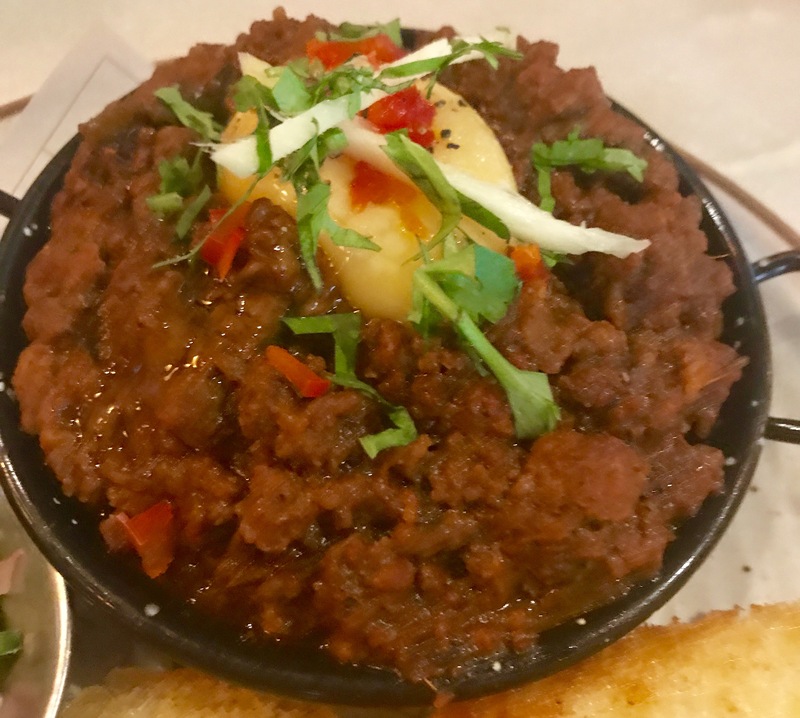 Today I’m heading for Talli Joe on what I think of as the border between Soho and Covent Garden. The buzzing street called Shaftesbury Avenue. What a good place to be to try some Indian food with a difference. The restaurant describes itself as serving Indian half plates and full drinks. It’s a stylish, modern little eatery with an intriguing menu. 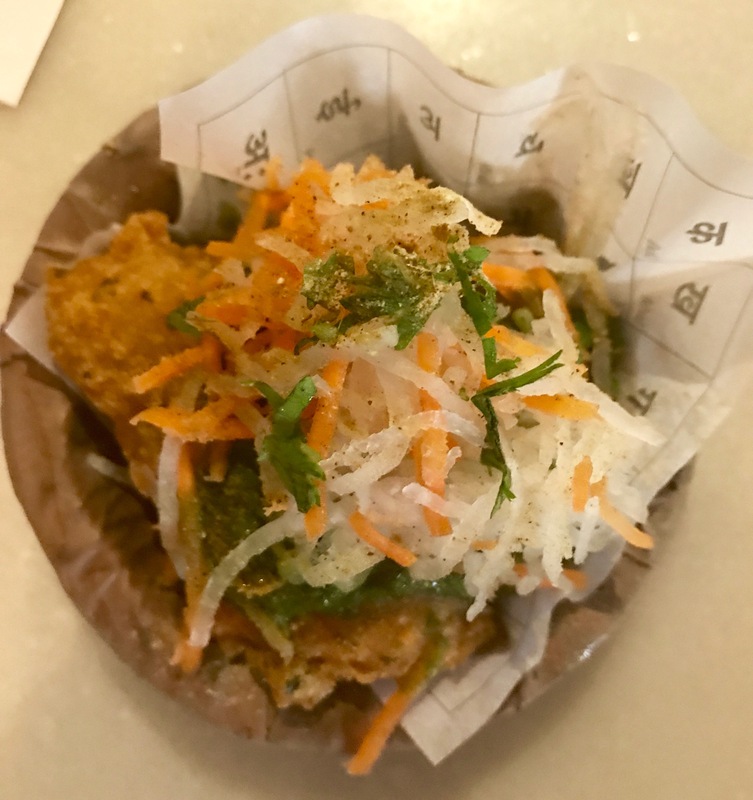 This one took a lot of perusing – thank goodness for the half plates idea, it gave us the chance to try more of the exciting options. I love Indian food which means I’ve eaten it all over the world (though I haven’t been to India yet – must be remedied). Today’s interestingly different menu meant time to experiment and explore new flavours and dishes. Lentils are usually beautifully done in Indian cuisine so the Moon daal Pahari seemed like a good place to start. The lentil fritters (described at Delhi’s favourite) came with grated radish and green chilli chutney. Flavoursome and crispy with the raw veg adding freshness and the chutney bringing a real chilli bite. A stunning vegetarian dish. 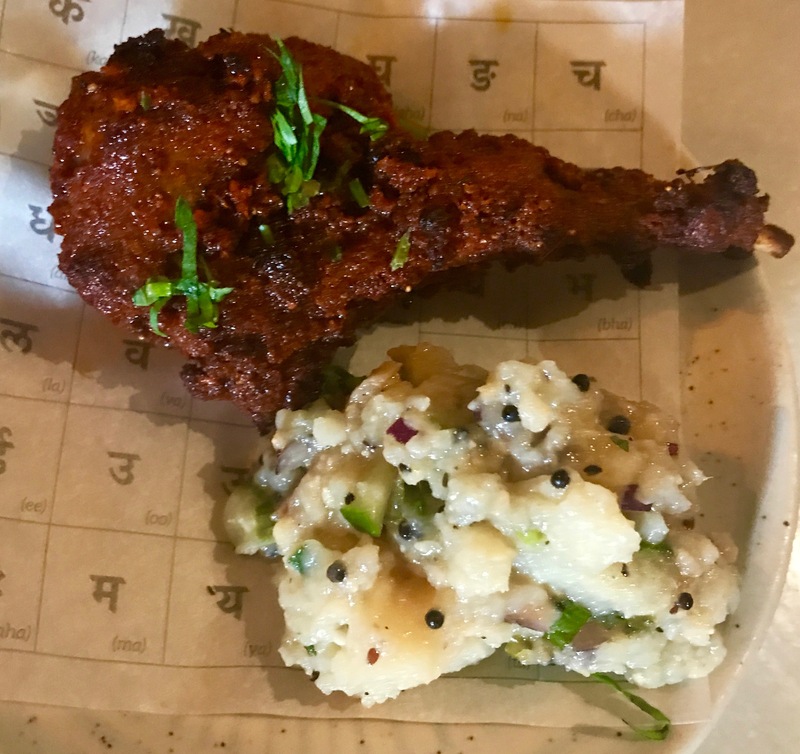 The Kohapuri Chop is a tenderly tasty tandoori lamb chop served with a potato salad with mustard dressing. Because they sounded so good, today we seemed to order more vegetarian dishes than usual. And the good news is that the Halve ki Mutter Kachori tasted even better than it sounded. Soft bread parcels were stuffed with a spicy pea mix and served in a butternut and potato curry. Now this is an exciting and unusual dish. 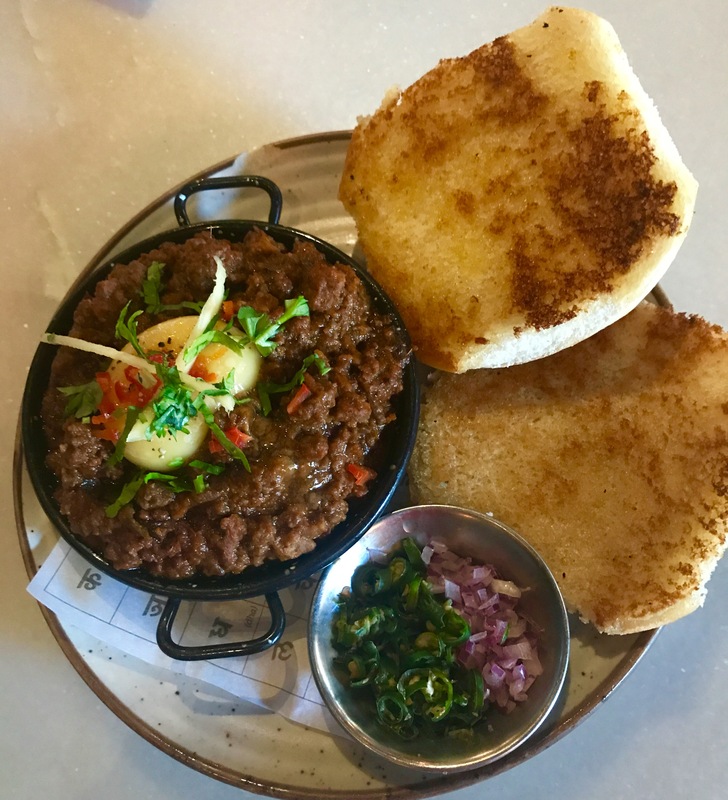 The Parsee Venison Keema Ghotala offered a richly satisfying spicy venison mince which was served with an organic egg yolk, lightly toasted sweet-flavoured bread and a side of pao (a chopped chilli and onion mix). We mixed the egg through the mince, making for an almost creamy delicacy and spread it liberally on the bread. Wow! The chefs here have certainly mastered those complex spice balances that make for the very best Indian cuisine. 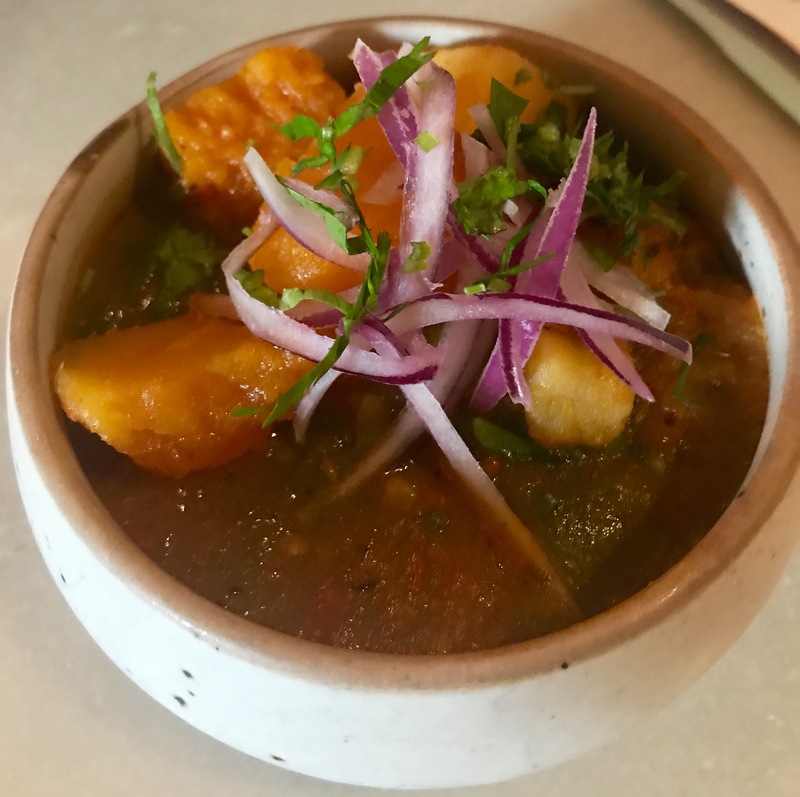 Every dish popped with a delightful roundness of flavours. The Bohri Chicken was cooked with a combination of masalas and served with a pretty fenugreek flatbread. Another perfect spice blend for the melt-in-the-mouth drumsticks. Love a good Indian flatbread – and doesn’t this look lovely with its herby greens and seeds. Time for dessert – and fabulous dessert, too. 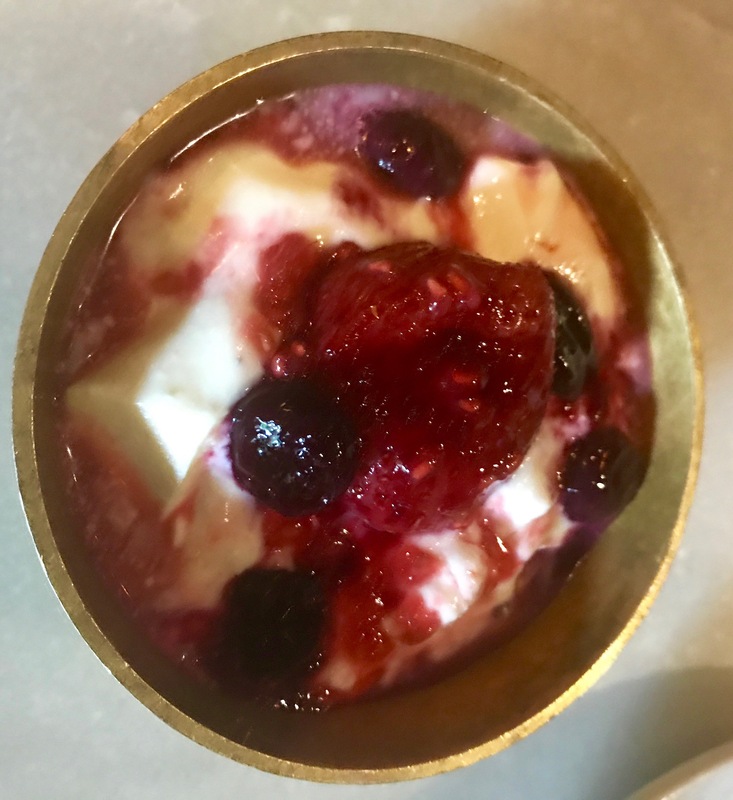 The berry malai was a warm, creamy bowl of baked yogurt topped with fabulously zesty seasonal berries. 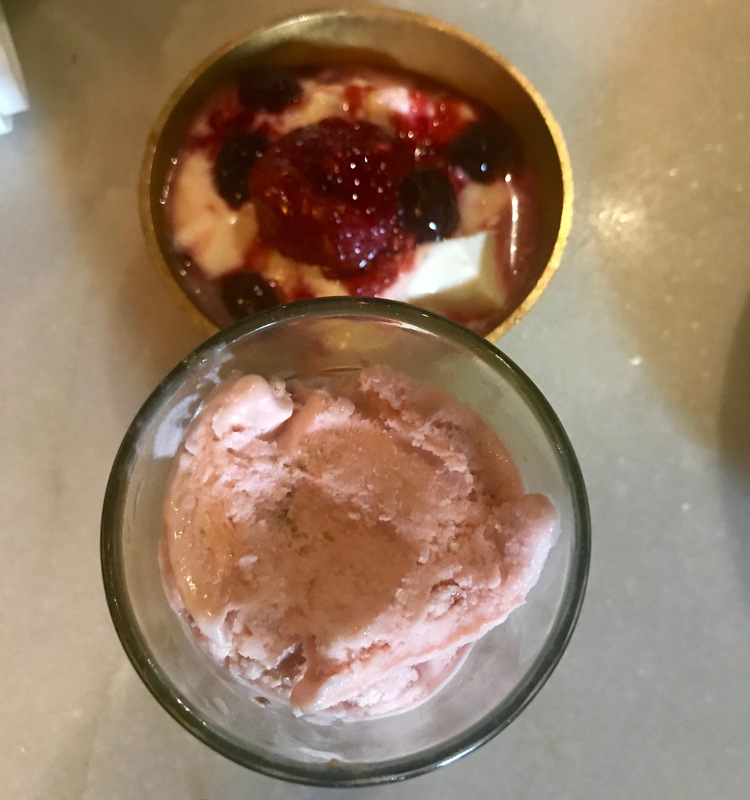 I love a bit of rose flavouring so couldn’t resist the rose-flavoured ice cream. A little glass of perfect pinkness with flavours that danced on my tongue. The perfect refreshing finish to a wonderful lunch. 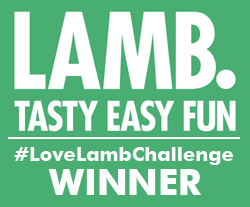 Our seven dishes cost £38.75 – really great value for delicious food. Wine starts from £21 a bottle and there’s a good selection of spirits and cocktails. 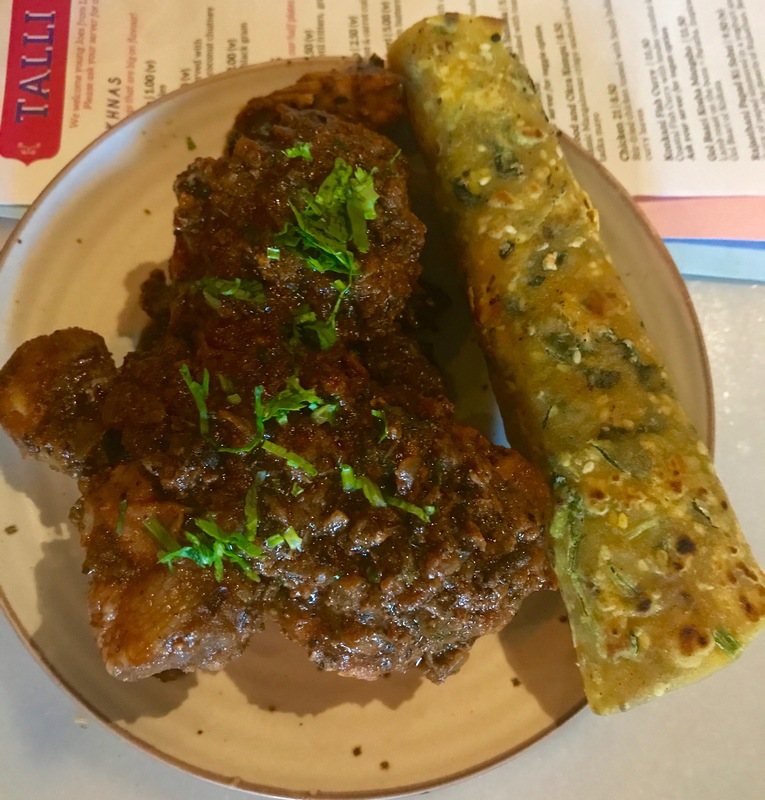 Talli Joe is at 152-154 Shaftesbury Avenue. I used my CAKE app to book and pay at Talli Joe. A really simple and quick way to eat out in London – yes there’s an app for it. CAKE has a wide range of restaurants on its books and you can also earn credit when you eat out with plenty of chances to get a percentage of the cost of your dinner back. Download the CAKE app now at thecakeapp.com and quote the referral code EATINGCG to get £5 credit for free and start exploring London’s wonderful restaurantland.